Exploring the distribution of Xenobiotic Drug Targets to support understanding, Efficacy, and Safety. 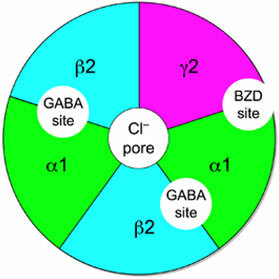 Central and peripheral effects GABA A receptors occur in all organisms that have a nervous system. To a limited extent the receptors can be found in non-neuronal tissues. Due to their wide distribution within the nervous system of mammals they play a role in virtually all brain and many peripheral functions. There are numerous subunit isoforms for the GABAA receptor (Figure 1) which determine the receptor’s agonist affinity, chance of opening, conductance, and other properties. It is important to understand isoform distribution when exploring specific disease targets. For example, anticonvulsant effects can be produced by agonists acting at any of the GABA A subtypes, but current research in this area is focused mainly on producing α2-selective agonists as anticonvulsants which lack the side effects of older drugs such as sedation and amnesia. In animal safety testing (dog/rat), depending upon exposure levels, the consequences of GABA agonists/antagonists can be widespread, impacting upon a range of tissues including the brain, adrenal, gut, liver and kidneys. 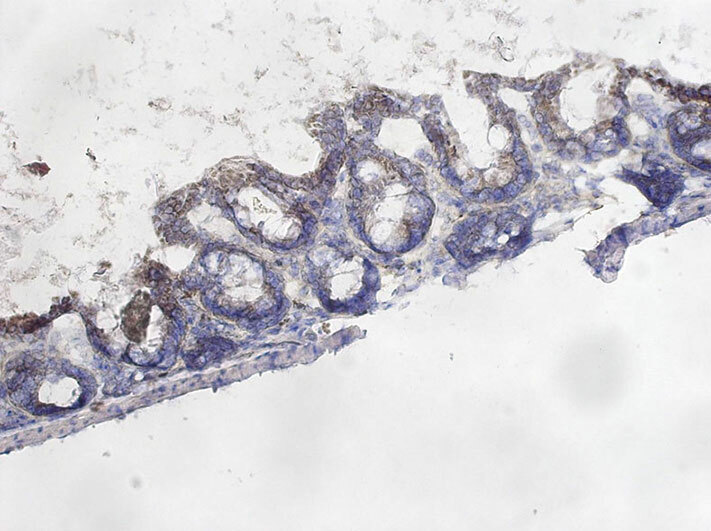 The tissue effects reflect the isoform distribution, which we have uniquely demonstrated using RNAscope in situ hybridisation, ISH (Figure 2,3). 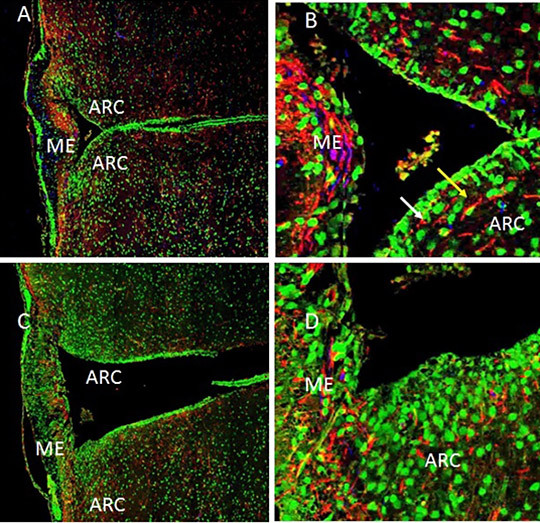 Figure 2: Representative images of GABA A receptor isoform subunit RNAscope hybridisation in rat gut and adrenal FFPE tissue, (x40 images); positive staining, (brown spots/yellow arrows) and negative staining (no brown spots) can be observed, indicating tissue-specific and isoform-specific mRNA expression. 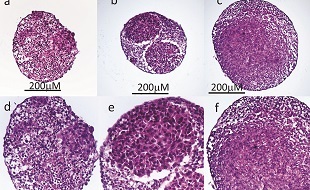 Figure 3: Tiled (5x) images of rat brain sections staining with GABA α3 and GABA α4 specific RNAscope probes, the area within the circle containing the dorsolateral geniculate nucleus, the medial geniculate nucleus, and the lateral posterior thalamic nucleus. Positively stained cells/regions are indicated by green arrows/circles. 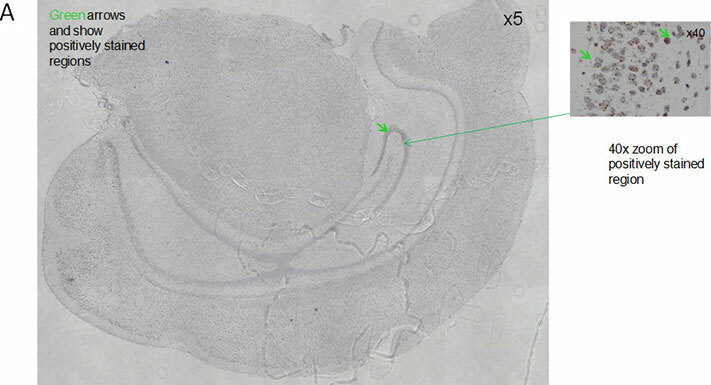 Right hand panels show x40 zoomed images of the GABA A α3 (top)/a4 (bottom) receptor staining. 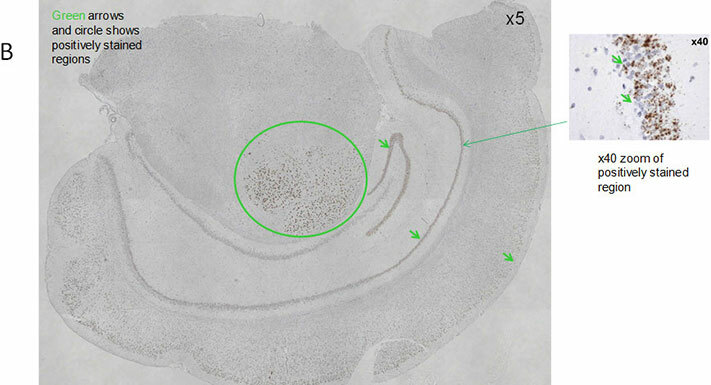 GABA A α4 showed positive staining in the striatum (green circle), however this region was not stained by the GABA A α3- specific probe. Drug targeting using a targeted antibody linked to a toxin has been widely explored, particularly in the cancer field. One of the key hurdles is the specificity of the antibody, so that any off-target effects are minimised. MM has the capability to search the gene data bases, to design and develop antibodies (in collaboration with key partners in Dundee) for bespoke targets (Fig 4) and explore tissue cross reactivity using immunohistochemistry (IHC). MM has developed a uniquely sensitive method to explore both message and protein expression in the same cell, as well as protein colocalisation/dual expression. This links into their hypothesis generation capability, using laser capture microdissection, genomics (microarrays) and pathway exploration.